The Hampton Roads Sports Commission is excited to host the fourth annual Hampton Roads Corporate Challenge, April 22 - May 4, 2019, presented by Optima Health! Companies throughout Hampton Roads will compete in a variety of sports to earn points and win the title of Corporate Challenge Champion. This event promotes health & wellness, provides great networking opportunities, boosts employee morale, and is a unique way to get your co-workers out of the office for an enjoyable team-building experience! 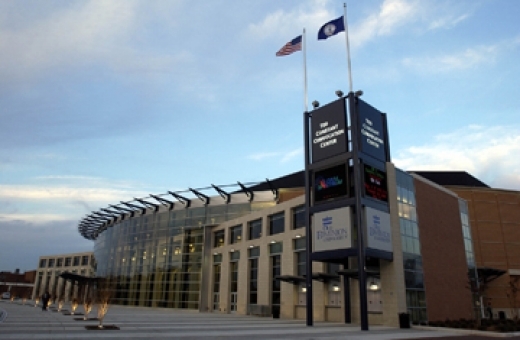 The Ted Constant Convocation Center, on the campus of Old Dominion University, is a state-of-the-art facility, consisting of 219,330 square feet. The facility features 8,600 fixed seats for basketball games and sporting events. The seating capacity may be increased to 9,300 for concert seating events. The Center has a 9,000 square foot multipurpose room that can be divided into assembly and small-space environments to accommodate meetings, dinners, receptions, and pre- and post-activity gatherings. 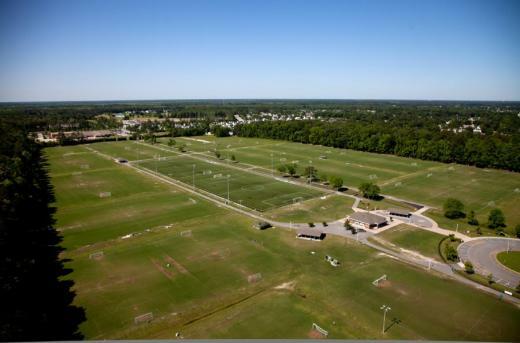 11 full size fields, with Tifway Bermuda grass.